Semi-trucks move more consumer goods than any other form of transportation. According to the Washington State Department of Transportation (WSDOT), Washington state is the most trade-dependent state per capita in the United States. Since our economy is so reliant on the effective and efficient transportation of consumer goods, the ability for semi-trucks and other forms of commercial transportation to travel efficiently and effectively is even more important for the people of Washington than it is for those in other states. A big piece of this comes in the form of infrastructure that makes the physical transport of these goods possible. Namely, the roads, highways, bridges, junctions, and rest areas that make up the United States’ interstate highway system. Without it, trucking transportation would essentially be impossible. One form of infrastructure that often gets overlooked, however, is parking. Federal laws set strict limits on the amount of consecutive hours that a truck driver is allowed to work without resting. Considering that there are the tens of thousands of semi-truck drivers who are tasked with making long journeys on a daily basis, it’s inevitable that those truck drivers will need adequate space to park their large vehicles for several hours at a time. Furthermore, these parking areas need to be strategically located and spaced out to allow truck drivers on a number of different routes to be able to remain in compliance with these federal regulations. It is not reasonable to expect truck drivers to remain in compliance without providing adequate resources that allow them to do so. Truckers undeniably prefer truck-friendly rest stops and other forms of designated rest areas for a number of reasons. First, is that they’re incredibly efficient; rest stops are typically accessed via a highway off-ramp exit, which allows truckers easy access to the rest area in just a matter of minutes. They also allow for convenient re-entry to the highway. They have restrooms on-site, picnic benches for a lunch break, and many even have free coffee. While convenient and safe, rest areas also require a lot of resources and therefore are limited in number. If a rest area is full or out of the way for a truck driver, parking on the side of a highway or off-ramp may be the next best option at the time. 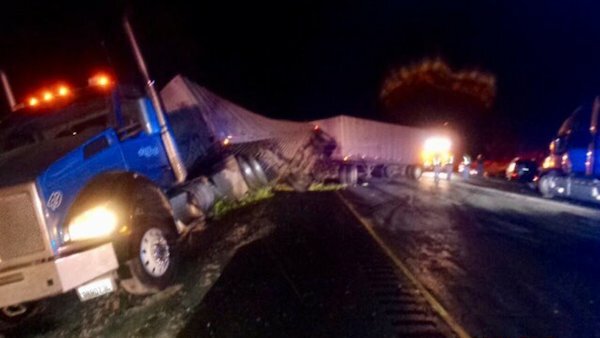 But trucks that park on the side of the highway can cause serious accidents and ultimately jeopardize the safety of other motorists. If a trucker is illegally parked on the side of a highway or somewhere other than a designated truck stop and a serious accident occurs, there is a chance that the trucking company could be held legally responsible for damages that result from the collision. Hiring an attorney may assist victims with the investigative process and ensure that all possible responsible parties are identified and included in any personal injury claim. 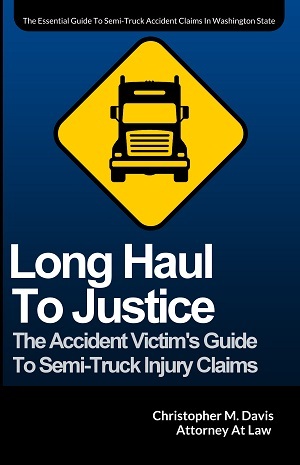 Davis Law Group will review your potential trucking accident case free of charge. Use the confidential contact form on this page or call our office in Seattle at (206) 727-4000 for a free case review.